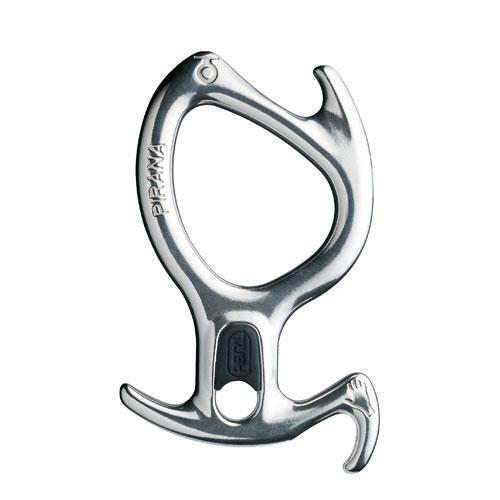 The PIRANA descender offers multiple braking options and can be installed on the rope without removing it from the harness. Designed for use with canyoneering descent techniques. Can be used on double ropes, but certain braking positions may not be usable depending on the rope’s diameter.